It was happening. There was no date announced. No Facebook event weeks in advance inviting everyone and all of their friends. No putting the time in calendars with reminders set to make sure people were prepared. It was simply happening. Many would be surprised. Some may have expected it. They looked at all the prophecies of old and realized that it might just be time. It might finally be happening. The display on the banks of the Jordan River in Israel, 2007. The Messiah had come. The one who almost every Jewish person had come to expect one day no longer had to wait on that one day to be today. One day had arrived. One day was here. One day was happening. In the little town of Bethlehem, a baby had been born. A baby who grew up with a mom and a dad. A child who had siblings. A boy who probably helped his father with carpentry. A teenager who went through puberty. Yet despite what may have seemed like an ordinary life at first glance, this man was truly extraordinary. This man was the Son of God, the Messiah promised for so many decades, the Savior of the world. Even those who don’t claim to care and reject any belief in who he was and is can’t deny that they’ve heard of him. People all over the world in all kinds of languages know the name and at least a little about who he was. Jesus. He is not late-breaking news, making the headlines or interrupting programs for a message about his existence. Jesus–at least his name–has, sadly, become normal. But while studying Matthew, an document written thousands of years ago in an ancient language halfway around the world, I couldn’t help but wonder what those who heard of his name and his arrival were thinking when they heard that he was coming. The promised Messiah. The Lord of Lords. The King of Kings. Every Jewish person would have known what this meant…or at least they would have thought they knew what it would mean. Jesus was here. Immanuel. God is with us. It was new and exciting. It would have made the headline news, if it were recognized that it was actually happening. In Matthew 3, we see Jesus’ cousin wandering around in the desert wearing clothes made out of a camel’s hair with a leather belt and eating locusts and honey. He was proclaiming to all that they should “repent, for the kingdom of heaven has come near” (Matthew 3:2). God was no longer far away. He was no longer saying that he was sending a Savior because that Savior had been sent. God was with us. And it called for a response. John invited people to respond by turning away from their sins and into a new life of living in response to God’s great big love. He was opening the door to usher in radical shift in how we would view grace and sacrifice, love and forgiveness. Never again would life as it was known be the same. 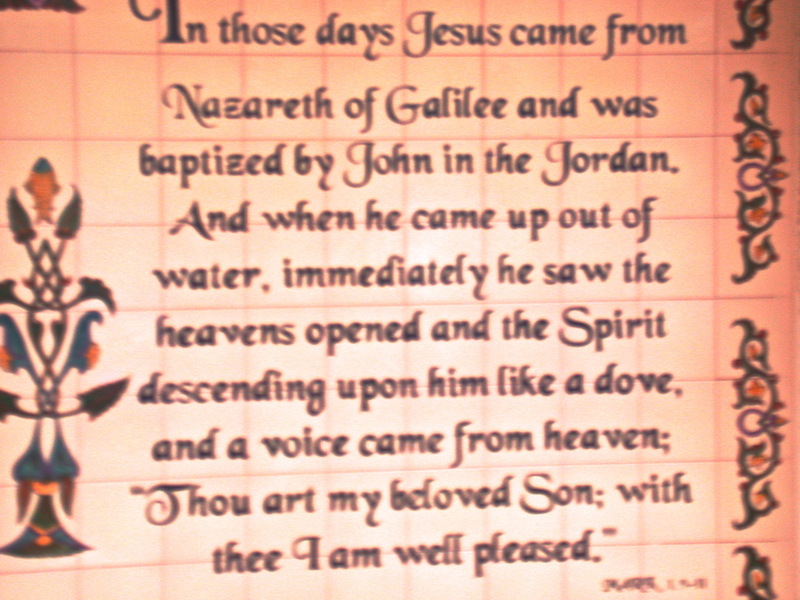 For Jesus had come. The promise was fulfilled. And it wasn’t entirely predictable. That kind of happening can’t be ignored. It can’t be blown off and there’s no hesitation out of the fear of missing out because that was the thing that no one wanted to miss. It was a big deal. It was happening. The kingdom of heaven had come near. Why don’t we share and respond to Jesus today with such enthusiasm? Why is it that we forget, ignore and brush off this news that changed the world forever? Why did it become old news not worth sharing? Where has the motivation for doing something differently and allowing ourselves to be surprised gone? Sometimes, I can’t help but get a little jealous of those people who lived through John asking people to repent and baptizing them because this kingdom was near. I want to be as surprised as they were that the Savior of the world was there. I want to be caught off guard and have my day interrupted in a way that would inspire life change. The text goes on to say that people did listen. They went to be baptized. Their worlds would change, and they would forever remember the day that they heard John’s voice and choose to respond to the interruption that couldn’t be ignored. Because it was even better than what anyone could have ever expected.